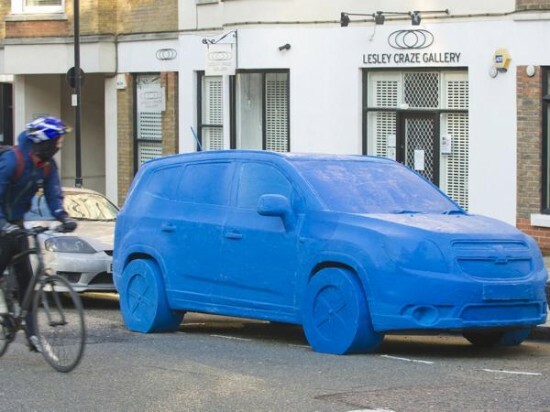 A life size Play-Doh replica of the Chevrolet Orlando MPV, created to mark the launch of the seven-seater, has been turning heads on the streets of London. 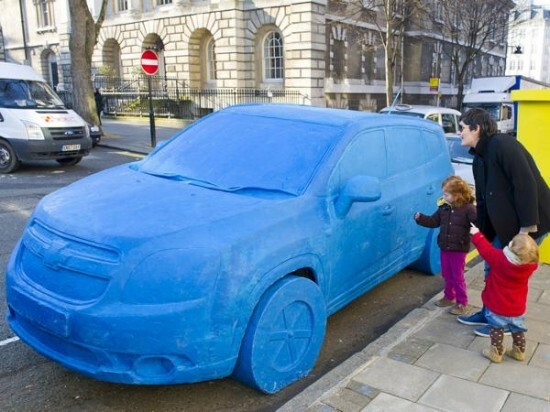 The sculpture was created out of 1.5 tonnes of blue Play-Doh, by a team of eight model makers who worked on it for two-week period. 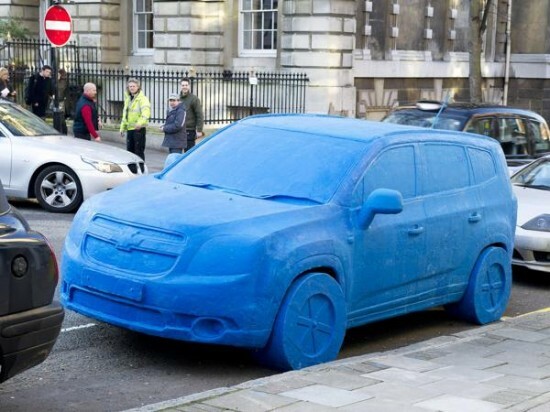 Created as a marketing scheme for the launch of the Orlando MPV in the UK, the 4.6-meters-long, 1.8-meters-wide Play-Doh Chevrolet has set a new record for the world’s largest Play-Doh sculpture. 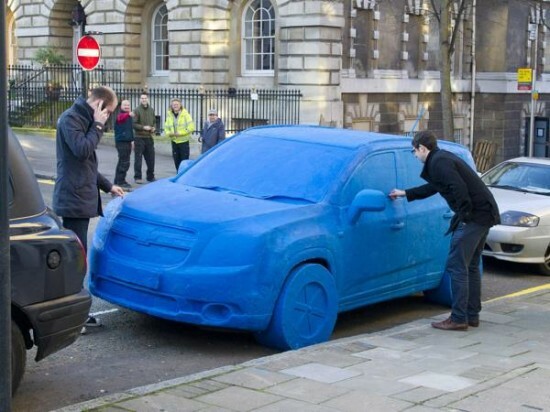 The plasticine-like substance may seem like a strange material to build a car, but the marketers decided on it after Play-Doh was voted the most loved toy of 2010, with 19% of the votes. 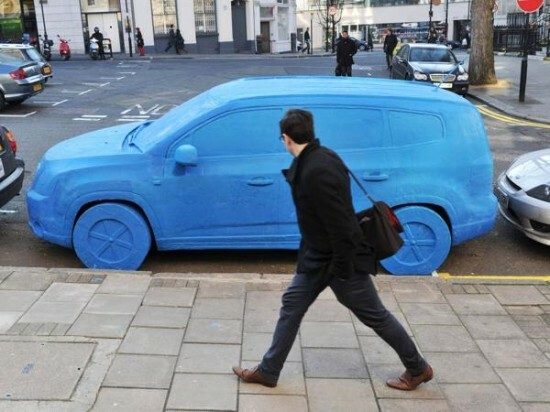 LEGO came in close second with 17%, followed by Kinder Surprise, 15 %. It’s hard to believe the popular toy started out as a wallpaper cleaner, in the early 1950′s.